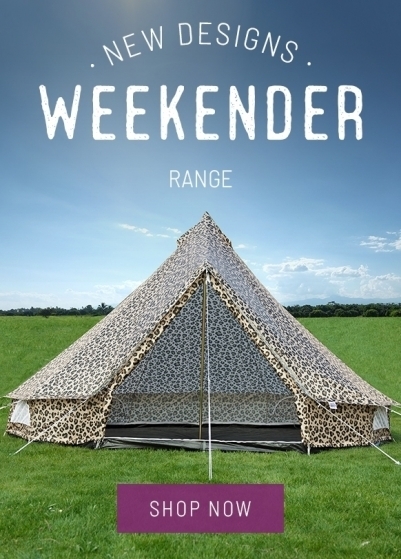 Our brand new funky Leopard Print Weekender Bell Tent is bang on trend - it's the biggest print of 2019 and is guaranteed to make you stand out from the crowd! 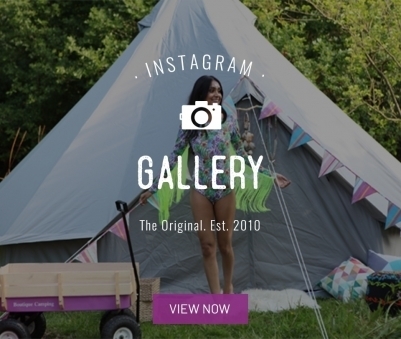 This ultra cool new festival bell tent is similar to our traditional bell tent design but made from lightweight polyester. The 3m version comes in at just 17kg whilst the 5m version is just 21kg, making them half the weight of canvas bell tents. 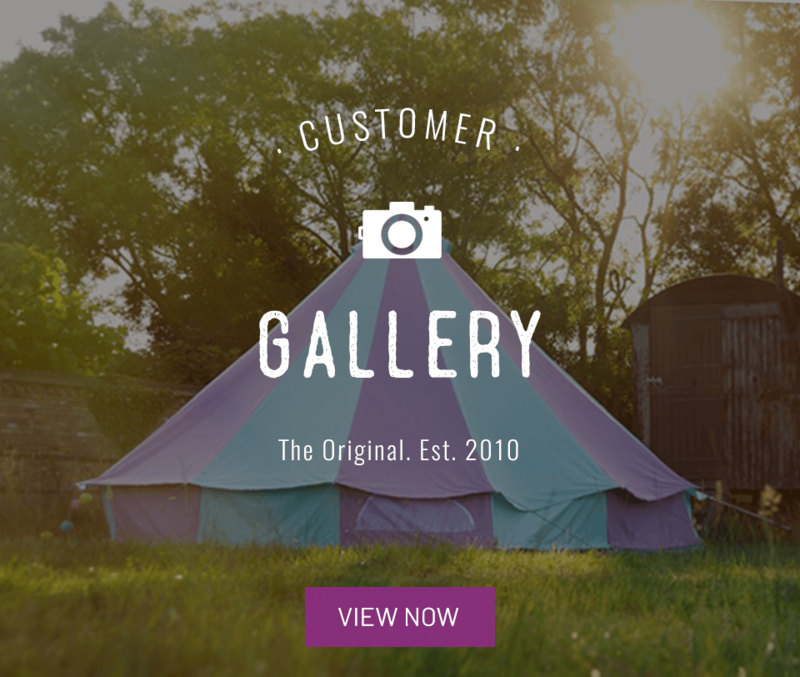 Ideal for festivals and weekend camping trips, the Weekender Bell Tent is available in a range of colours and patterns. 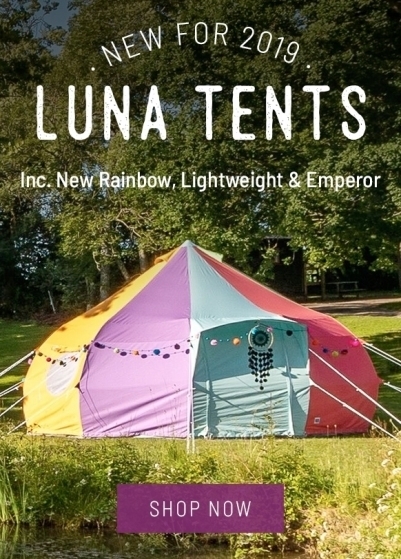 This lightweight tent can be erected quickly and easily by just one person and because they are so much lighter, transporting them to the festival or campsite is much easier. 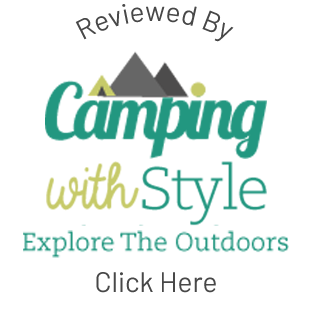 Despite the lighter material and lower price tag, you’ll still find the same high-quality features that come as standard with all Boutique Camping Tents. 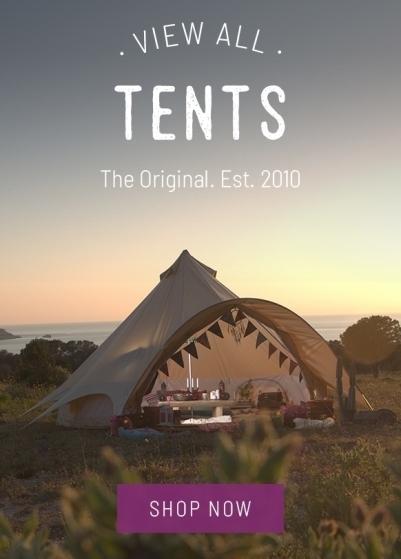 The Weekender bell tent includes a sturdy centre pole and metal A-frame which forms the doorway. Inside there’s a heavy-duty zipped-in groundsheet that can be unzipped, allowing the sides of the tent to be rolled up to let the air flow through and there are four zipped windows and air vents at the top for extra ventilation. The Weekender bell tent is also easy to look after, requiring far less maintenance than a traditional canvas bell tent, and after a downpour, it will dry out much more quickly too. 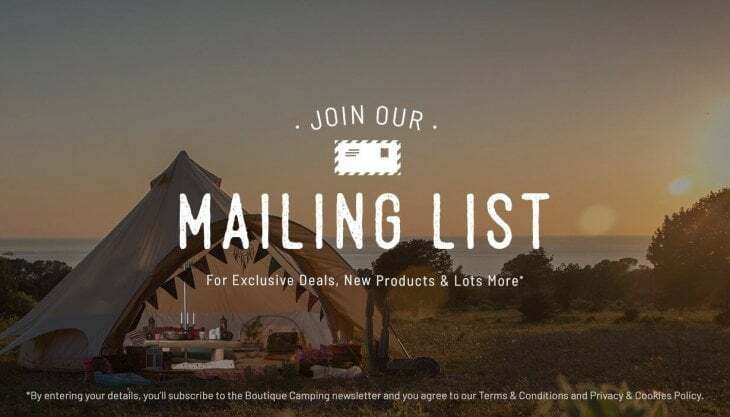 The Boutique Camping Weekender bell tent comes complete with a mallet, high-quality tent pegs, new no-slip guy rope sliders, reflective guy ropes and a sturdy carry bag with a waterproof base.